The Pixel 2 case maker dance has begun. You know the move, where all the case makers on the planet want to show you what the next hot phone is by placing questionable or partially accurate renders they’ve created in-house into a case of theirs to get their cases on your mind. It’s a good trick! We all fall for it. Spigen did it a lot back in the day, but now they all do it. 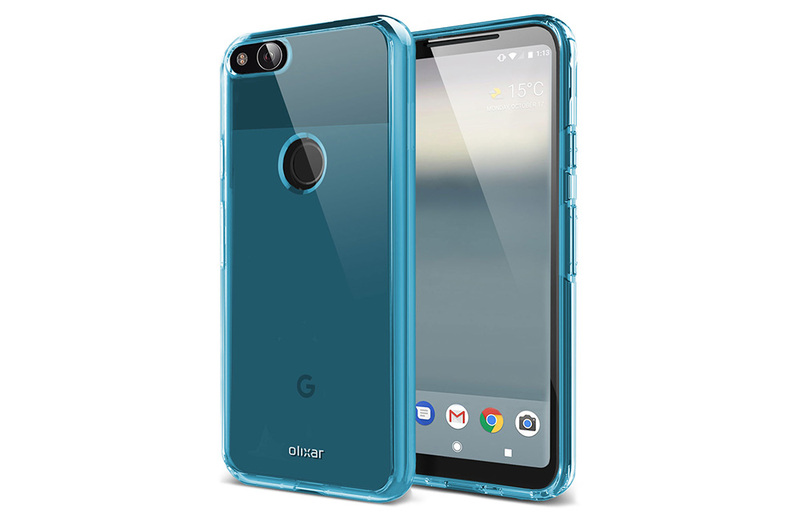 Today, we’ve got Pixel 2 cases and renders from a company called Olixar. They may be accurate and they may be complete sh*t. Either way, this is what they tell us. Ok, that’s not entirely true. They do tell us that the phone won’t have a headphone jack. I say that only because case makers do get schematics or dimensions for phones in advance in order to make cases that fit properly on phones once they arrive. If a phone doesn’t have a headphone jack, a case maker is going to need to know that, so that they get cutouts proper. These cases don’t have headphone jack cutouts. They also show us cutouts for camera positions, fingerprint reader positions, and how far they’ll come up around the front glass. These pieces of info should be correct, assuming this case maker has correct info to make cases ahead of time. That said, these renders kind of just look like some original Pixel mock-ups with less back glass and an LG G6 front. That could be what we get! We’ve heard that the HTC-made Pixel 2 will look just like the original Pixel for the most part. They don’t necessarily look all that similar to the renders of the LG-made Pixel XL 2 from a few weeks back, though. I will say that if this is the Pixel 2 and Pixel XL 2, I’d be pretty happy with it. I still like the back design of the original Pixel, but this would modernize the phone with a new-school all-screen display up front. One of our biggest complaints of last year’s Pixel was the huge top and bottom bezel situations and this would seem to eliminate that.